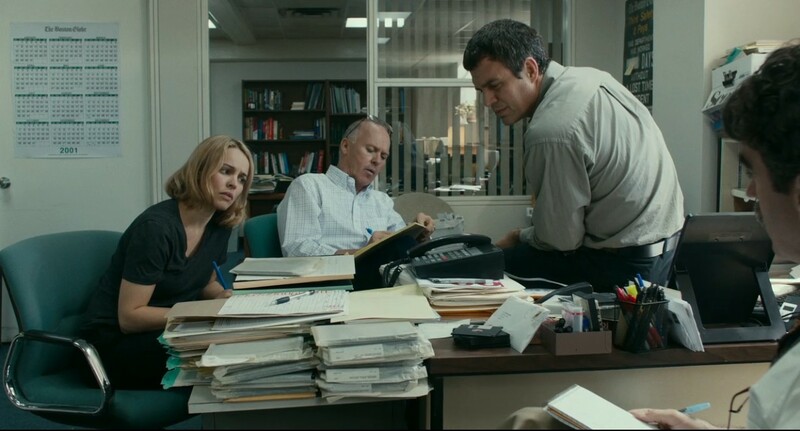 (Columbus, Jan. 7, 2016) Tom McCarthy’s investigative drama Spotlight has been named Best Film in the Central Ohio Film Critics Association’s 14th annual awards, which recognize excellence in the film industry for 2015. The film also claimed three other awards. McCarthy was honored as Best Director. The cast, including Michael Keaton, Mark Ruffalo and Rachel McAdams, was named Best Ensemble. And Josh Singer and McCarthy won for Best Original Screenplay. Columbus-area critics lauded Alicia Vikander with three awards: Best Supporting Actress (Ex Machina); Actor of the Year for her exemplary body of work in Burnt, The Danish Girl, Ex Machina, The Man from U.N.C.L.E., Seventh Son and Testament of Youth; and Breakthrough Film Artist. Other individual screen performers commended for their achievements include Best Actor Leonardo DiCaprio (The Revenant), who previously was named COFCA’s Best Actor in 2006 for The Departed; Best Actress Brie Larson (Room); and Best Supporting Actor Benicio Del Toro (Sicario). The Revenant’s Emmanuel Lubezki won Best Cinematography. COFCA members also tabbed him for Best Cinematography in 2011 for The Tree of Life and in 2013 for Gravity. Other winners include: Mad Max: Fury Road’s Margaret Sixel for Best Film Editing; The Big Short’s Charles Randolph and Adam McKay for Best Adapted Screenplay; The Hateful Eight’s Ennio Morricone for Best Score; Best Documentary The Look of Silence; Best Foreign Language Film Phoenix; Best Animated Film Inside Out; and The Tribe (Plemya) as Best Overlooked Film. Founded in 2002, the Central Ohio Film Critics Association is composed of film critics based in Columbus, Ohio, and the surrounding areas. Its membership consists of 21 print, radio, television and Internet critics. COFCA’s official website at www.cofca.org contains links to member reviews and past award winners. Winners were announced at a private party on Jan. 7. COFCA offers its congratulations to the winners.